Female travellers have a wide range of options when it comes to choosing accommodation and transport both nationally and internationally. Though many women get stuck in a rut of package holidays and city breaks, there is much more that they can do with their time away. By understanding the many choices open to them, women can work to create more creative travel schedules that truly satisfy their wanderlust. Some accommodation options are old standbys. 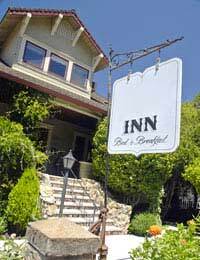 Hotels, motels, bed and breakfasts, inns and hostels are well known lodgings for travellers. Short term apartments, rented rooms, house swaps and 'couch surfing' on a friend or stranger’s couch are also possibilities. Staying with friends and relatives, begging someone’s holiday home, renting your own holiday home, working at a resort, working at a summer camp, contributing to a conference or workshop or joining a travelling tour group are also options for accommodation while abroad. Many study abroad and work abroad programmes also provide accommodation for those involved. The most common transport options for women travelling abroad are probably planes, trains, boats and cars. Buses, taxis, and bicycles are also modes of transportation that are usually quick, easy and accessible. In some countries women may even find rickshaws, tuk-tuks, scooters and motorcycles to be options available to them. However, women should never board a mode of transport that they don’t feel meets proper safety standards or that feels as though the other passengers or staff are in any way hostile. Women should also try to avoid travelling alone in private transportation. If they do choose to do so, women should keep their mobile phones on at all times and be ready to make an emergency call if needed. Women travelling abroad should always leave a copy of their plans at home with a friend or family member and carry their passport, cash and valuables on their person. Prescription medicine, reading glasses and other irreplaceable items should never be packed in luggage but rather kept in carry-on bags. In hotel rooms or other accommodation women should keep their valuables in the room safe and always use the door lock and peephole. On transportation, women subject to motion sickness should try to sit near the front and avoid writing or reading. Eating only a light meal before travelling and sipping water throughout the journey is always a good idea. If possible, women should try to stay in well lit areas, both in accommodation and on transportation, and try not to be alone without other women in the vicinity. If something happens that makes a woman feel uncomfortable, she should leave the area immediately. This may mean exiting an accommodation or method of transportation earlier than expected, but making sure that she is physically safe and secure should always be a woman’s first priority. There are myriad accommodation and transportation options available to women travellers. In some countries there may be female-only options, so women should always check to see if these choices are pertinent to their health and safety or if more mainstream options are just as satisfactory.